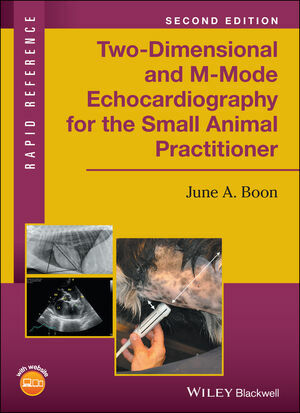 Two-Dimensional and M-Mode Echocardiography for the Small Animal Practitioner provides a concise, accessible manual of basic two-dimensional and m-mode echocardiography. June A. Boon, MS,is an Instructor and Echocardiographer at the College of Veterinary Medicine and Biomedical Sciences at Colorado State University in Fort Collins, Colorado, USA.